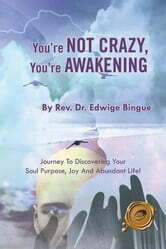 Journey to Discovering Your Soul Purpose, Joy and Abundant Life! We have chosen our own journey. For many, this alone is difficult to comprehend and believe. But, it is true. Whether a conscious choice, or unconscious, we choose our circumstances. If you desire to create change in your life, or completely change the direction that your life is going, the choice is yours. The power is completely in your hands, or better, your consciousness. Intimately and without restraints, Rev. 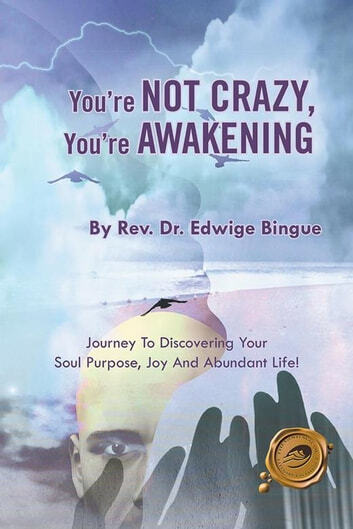 Dr. Edwige Bingue describes some of her personal experiences that impacted her life journey in significant ways. Some of these events were painful, some may seem to be bizarre- even outlandish. But, they happened. This book will change your perspective about every aspect of your life, with clear and simple techniques to expand your vision of life and how you are going about it. After reading this book and putting these easy methods into regular practice, it is inevitable that your life will change. Your consciousness will be transformed. You will become very clear about your purpose: and will do it with ease and grace. And best of all you will know that you were never crazy, because you will be awakened!